Born an Artist! I do Photo Manipulations. Photo manipulation is a process to transform a photograph into a desired image. I have advanced in knowing real models and well known artist that communicate with me from time to time. I use these models for my artwork and do credit them. Thank you for looking and welcome. Comments and faving help our community. Please DO NOT STEAL, duplicate, make changes, or harm my artwork. 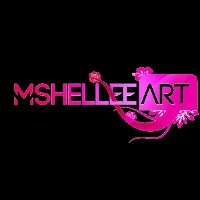 In February 2015, I received another Honorable Mention for http://mshellee.deviantart.com/art/Cupid-s-Twisted-Mistake-511743721. In June 2016, i received a Special Recognition Award for "Waterfall". Check it out in my gallery.